For any researcher, it’s crucial to know that your research is easily discovered, and that you are able to accurately capture references and citations to measure influence. Scopus supports both. 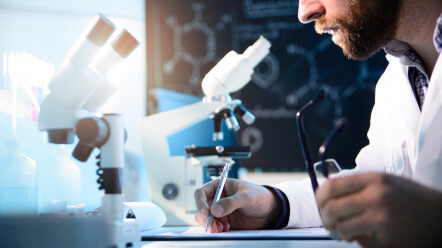 The ability to track and analyze citations and/or publications accurately and claim authorship allows Scopus users to take control of their future and own their reputations. Together, no other platform delivers the same level of visibility and discoverability. 65% of surveyed Scopus users cite Tracking citations and/or publications (my own or another author) as the primary reason for which they use Scopus. When authors validate their author profiles they gain new insights into the impact of their research. They also build a reliable body of work to support career goals. Unlike other databases, once your profile is validated, Scopus takes over, automatically populating your profile, saving you time and building your credentials. Scopus is the only database to blend automated and manually-curated data to generate author profiles. This allows us to deliver over 16M profiles that let you search for authors the same way you can search for articles, efficiently and easily. Follow our easy-to-use, three-step Author Profile Wizard and update and verify your profile to ensure that your scientific research and accomplishments are being displayed accurately. Discover the true impact of your research. Current Scopus customers report our APIs are superior to competitors. 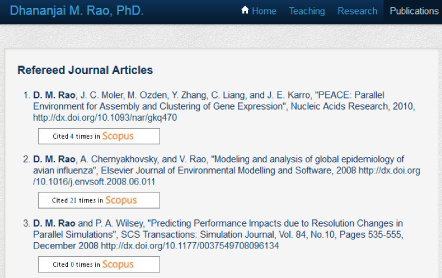 Example of the Scopus API applied.